We have selected a truly splendid collection of the very best large format landscape colour photographs to illustrate a wide selection of first generation motive power and long lost prototypes throughout the 1960s for you. Locations from all over the country appear, many now historic themselves and no longer survive at all. 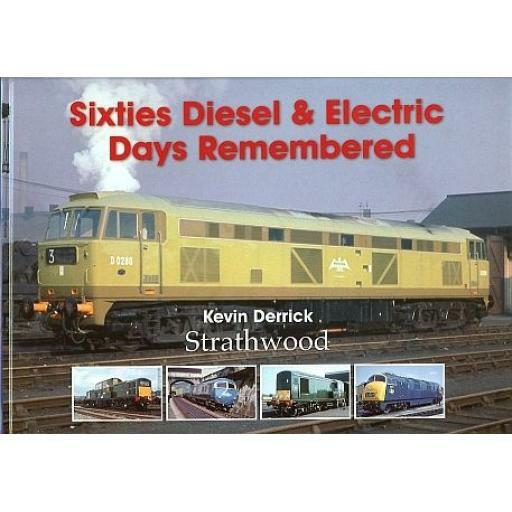 Chapters include: Old Oak Memories, Under the Wires, Southern Capers, Scottish Habits, Changes at the Cross, Shunting Types, Crewe Mixtures, Questions to be Answered, Blue is the Colour, The End is Nigh, Western Rules. "A short note to let you know that the books arrived today – thanks for your help with the order. The Sixties books are fantastic!"